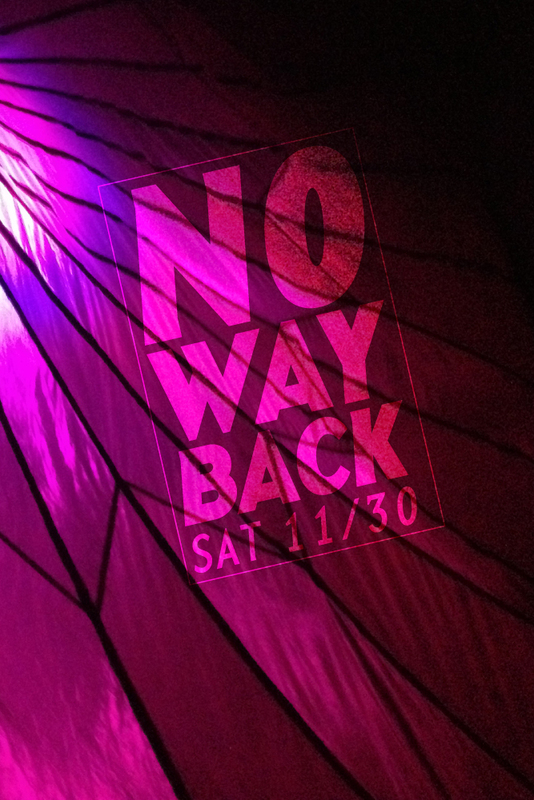 No Way Back is not a festival, it is not an event - it is a party. 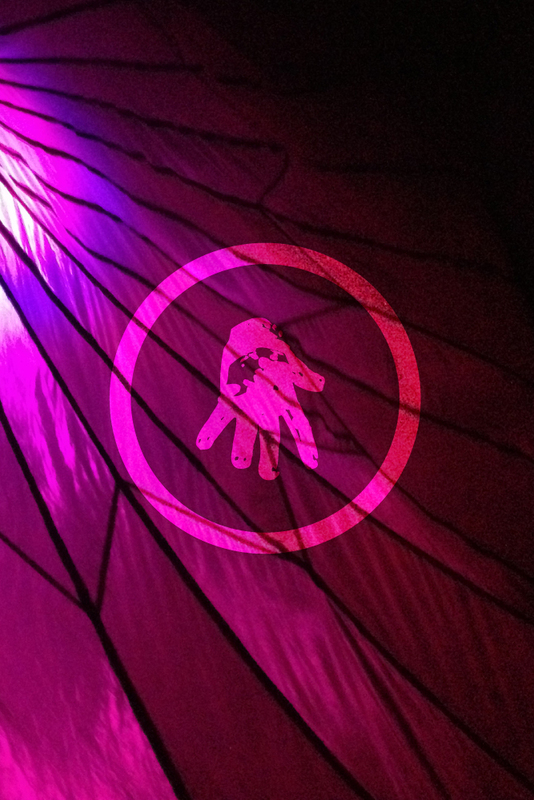 What began in an abandoned Detroit building with a leaky roof (it rained on the dance floor!) and an audiophile sound system has now moved to the entirely legal and historic Leland Grand Ballroom, for a special holiday edition of No Way Back. Decorations will be by Amber from IT, and the mega sound installation with way too much bass will be courtesy of the Audio Rescue Team. Every generation experiences this, whether it was at The Sanctuary, Better Days, The Loft, The Paradise Garage, The Warehouse, The Shrine, Cosmic, Luomos, The Liedernacht, The Muzic Box, The Hacienda, Medusa's, The Music Institute, or Berghain. You might not even know that you have soul until you experience being totally lost in the sound and realizing there ain't no way back. Every DJ chosen to play at No Way Back is a master of their medium, so deep in it that they all serve as constant inspirations. This is a celebration of the lost art of the late night Midwestern DJ. It is all too rare to find someone within the electronic music spectrum that can be called an original, that you can only really explain to someone who has experienced them on the dance floor, usually just by saying "that's so" and saying their name. Carlos is one of those rarities. Brendan M Gillen founded Interdimensional Transmissions in late 1994 when he heard far too many ancient voices in his head. Positive that dimensions were colliding and that he could literally feel the deepest will of some mystic past, he decided not to ignore these voices but to contemplate their input, and thus Interdimensional Transmissions came to fruition and the idea-based project Ectomorph found a true home. Since then the vision has continually grown organically and mutated into something that is hard to describe yet easy to feel. His sets effortlessly combine a multitude of seemingly disparate genres into a coalescing solid sound system sensation - pure transcendent psychedelic wizardry. Genre? There is no genre, that's the point. Patrick Russell is a true veteran of the underground, perhaps one of the last unsung heroes of a now lost era in the Midwest. He magically transforms the diaspora of pure jack energy into a fluent sonic dialog that never fails to devastate the dance floor. A Detroit-bred DJ, artist and producer since the early 90's, Patrick has now made Brooklyn his home. His resume highlights include everything from an exclusive opening for Jeff Mills in Detroit in 2007, performing at the 2001& 2008 DEMF/Movement festivals, to decorating and performing at the inaugural and now legendary leaky warehouse No Way Back. His consummate taste and ecstatic yet disciplined execution have created a respect that cannot be purchased. Patrick is not just one to watch, he is one to be experienced. Erika dreams on the cellular level, or perhaps of transdimensional intelligences moving through strange patterns on celestial objects, working towards a mysterious goal. Her connection to the dreamworld becomes concrete in her approach to music, simultaneously so solid and yet so ethereal. Erika still finds time to accomplish many things in her waking hours, such as being a member of Ectomorph, co-conspirator of Detroit's Interdimensional Transmissions record label, DJing with vinyl, making music with her pet machines, and running erika.net - a freeform streaming radio station. Erika.net celebrates it's 13 year this year, being one of the very first radio stations to be an iTunes preset. From 1993 through 1999, Erika was very involved in WCBN in Ann Arbor, as a freeform and jazz DJ, and Program Director. Erika will be DJing on mostly vinyl augmented by some CDs, gearing up for her upcoming "Hexagon Cloud" live tour launching at Tresor on December 6th, her Berlin solo debut.